Expert web & marketing strategy, no gobbledygook. 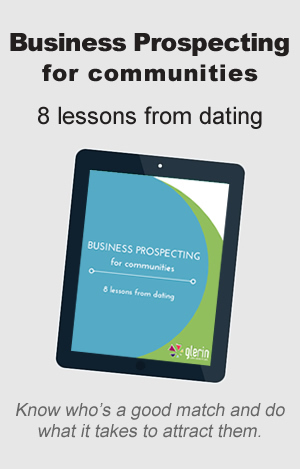 Prospecting for businesses is like dating. To find businesses that are good matches your community has to be true to itself. Our 8 lessons from dating are things everyone can relate to, and might just make your prospecting a bit easier. This resource isn't currently available as we're updating our documents system. Check back soon for a live link.